"Always hunt ethical and shoot straight." At Bear Crush Outfitters we use the best bear baits available at already established bait sites, therefore the bears in the area know where it is and are comfortable coming in for breakfast, lunch and supper. It is not a rare occurrence to sit in one of our tree stands and have several bears on site at one time. 2018 Prices - First year in business special $2000 USD per person. Our guides will either pick you up at the Winnipeg Airport or meet you in the town of St. Laurent or Teulon. 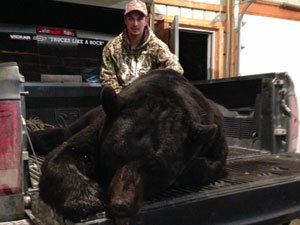 We will then embark on a five-day black bear hunting trip in Manitoba's pristine Interlake. You will choose whether you prefer the outpost camp experience, with BBQ and campfire cooked meals, or the hotel experience, where you will sleep in the comfort of one our recommended hotels and eat in local restaurants (at your own expense). Hunts will be done out of a two-person tree stand with one person per stand for added space and comfort. Hunters will be driven into bait sites by ATV or truck. For really remote locations some walking may be required in order to get to bait site. Hunters can use a bow, muzzleloader or rifle. You will arrive one day before your first hunt day and depart the day after your last hunt day. 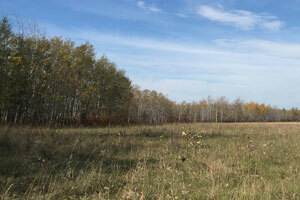 We also offer guided hunts to Canadian residents. Please call for more information 204-739-6459. If you choose to stay at camp, we will stay in a prospectors tent in the woods. We will BBQ and cook food over the fire. Choose this option for the true wilderness experience. 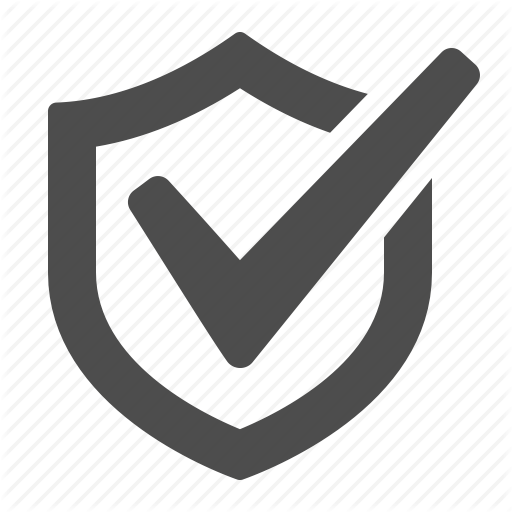 If you choose to stay in a hotel for the duration of your trip, we will book a hotel or motel for you in the area we will be hunting. 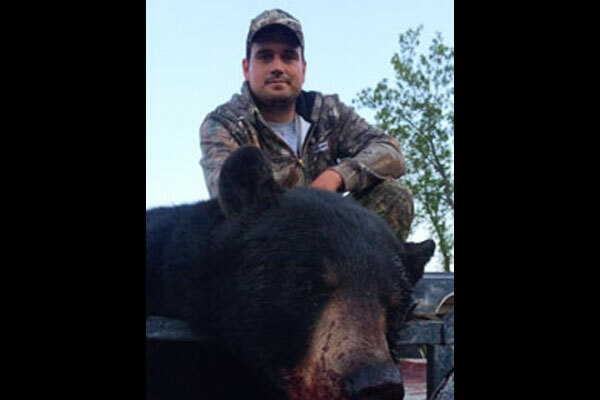 Bear Crush Outfitters has three highly experienced and passionate hunting guides who will take you on an unforgettable hunting trip in Manitoba's pristine Interlake region. 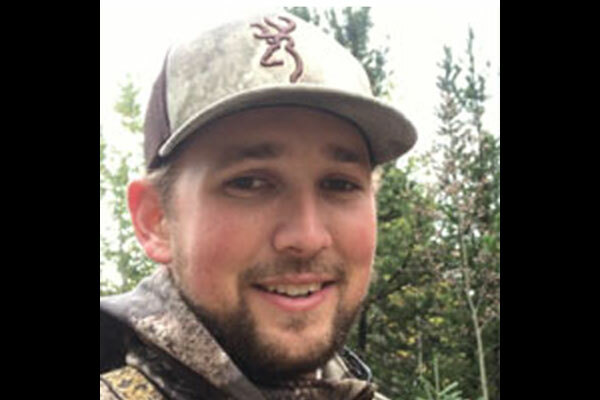 Charles is an avid hunter of waterfowl, whitetail deer, elk and has a passion for big Interlake black bears. He has been a licensed hunting guide for many years. He participates and volunteers in youth hunting events in the community to help carry on the hunting tradition to the next generation. In the off-season, Charles is an avid open water and ice fisherman. When he's not out hunting or fishing, Charles works as a Journeyman Mechanic. 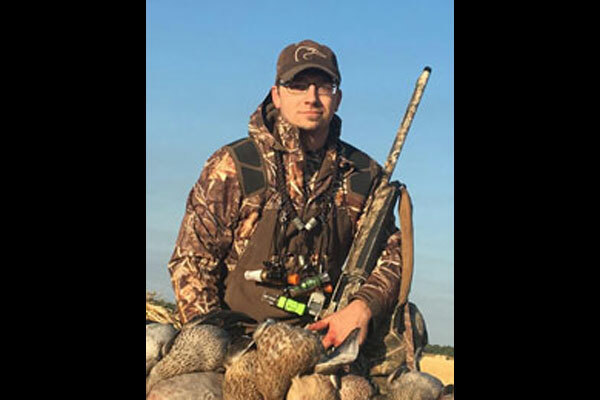 Shawn has been an avid hunter since he was a teenager. He has an impeccable knowledge of the Interlake area and has been guiding since 2010. Shawn is never afraid to try something new and likes to stay on top of leading edge hunting techniques and tactics. He has experience guiding for waterfowl and big game and is never afraid to go the extra mile to get the job done. In the off-season, Shawn is never far from a fishing rod and Manitoba's pristine lakes and rivers. Ever since he was old enough to shoot a pellet gun, hunting has been a passion of Trevor's. Whether it’s big bucks, black bears or waterfowl of any kind, you can always count him in on a hunt! He has been hunting since the age of 12 and guiding off and on since 2007 for waterfowl. Bear hunting will always be a passion but waterfowl is Trevor's obsession. During the off season he's a welder by trade but you’ll often find him ice fishing or predator hunting. Growing up in the country taught Trevor to take pride in conservation. He's a active member of the Manitoba Wildlife Federation and often in attendance at Duck's Unlimited banquets.